Make it a Valentine’s Day to remember. 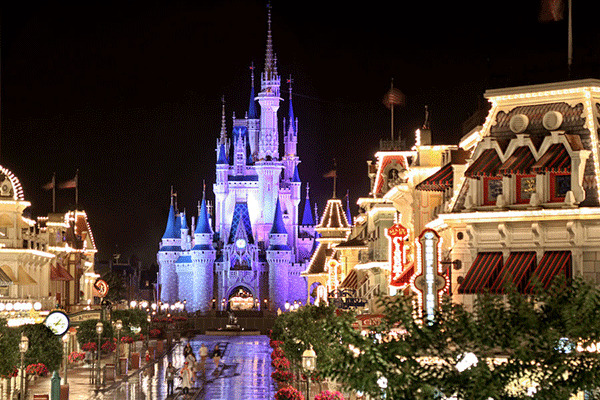 Celebrate at Walt Disney World, which is filled with shows, events and special moments that are perfect for couples. After a magical day of gallivanting through Walt Disney World, end the adventure by gazing up at the glow of the iconic Cinderella’s castle by night. The magnificent Happily Ever After fireworks light up the sky over the castle and the show features Disney’s most-loved characters, so you can dive into nostalgia with your date. Book a table for two at the Brown Derby in Hollywood Studios. The exquisite venue mirrors a classic Hollywood eatery, and its red draping and film decor will transport you to an age when a suit and tie were the dress code to eat out. Sip a Manhattan and look up at the colorful walls of caricatures of famous actors. For a belated Valentine’s Day celebration from February 28 to May 28, explore Epcot’s renowned International Flower & Garden Festival. This spectacular outdoor display transforms the World Showcase of Epcot into a floral paradise, as epic foliage and flower arrangements spring up seemingly overnight. This date night location not only offers stunning outdoor views but also a handful of outdoor dining pop-ups, filled with alcoholic beverages and yummy treats. Disney Springs, the premiere shopping and dining complex of Orlando, make for a perfect date night. Try sunset hour drinks at Dockside Margaritas, beer at The Polite Pig, aquatic sips at the Rooftop Bar at Paddlefish and wine at Wolfgang Puck Express. Disney outdid themselves when creating the Fantasmic! fireworks and entertainment display at Hollywood Studios. This nighttime spectacular combines dramatic water art, stunning pyrotechnics and a hint of Disney magic – all without leaving the confines of Hollywood Studios. For a memorable date night, go the extra mile and reserve one of Disney’s special dining packages with a roped-off, VIP view of Fantasmic!, allowing you to skip the crowds and snuggle up to your date with plenty of privacy. One of the latest entertainment attractions is the Rivers of Light at Animal Kingdom. This evening spectacular celebrates the majesty of the natural world through special effects and animal folklore presented on the water. For a unique night out, invite your date to the steps along the river at Animal Kingdom and sip a glass of wine while you taking in the surrounding nature. Love Frozen – and Scandinavian treats? Book a seat for the Frozen Ever After Dessert Party at Epcot World Showcase. This yummy package includes premiere seating for viewing the Epcot fireworks display while also snacking on sweet desserts inspired by the Frozen films. Afterward, indulge in the unique after-hours riding of the Frozen Ever After attraction in Norway within the World Showcase. For the inner child in all of us, there exist Mickey bars — ice cream encrusted in a chocolate coating shaped like Mickey Mouse. If you are wooing a date who cannot help but hum along every time “A Whole New World” or “Circle of Life” plays, skip the fancy dinner parties and head to Main Street USA to share a good ‘ole Mickey bar. Celebrate Valentine’s Day at Walt Disney World – get great offers on tickets at BestofOrlando.